You must make reservations at least 5 minutes in advance of the time at Kobe Steaks - Dallas. 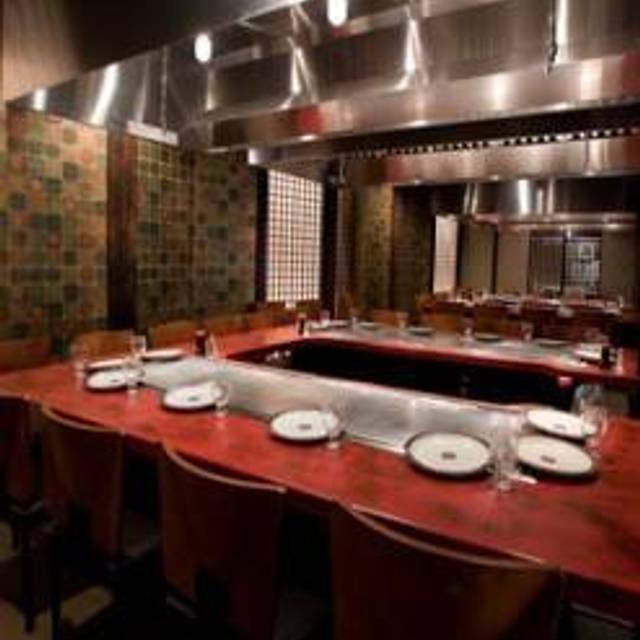 At Kobe Steaks you'll experience creative hibachi cooking right at your table in a fun-filled atmosphere. 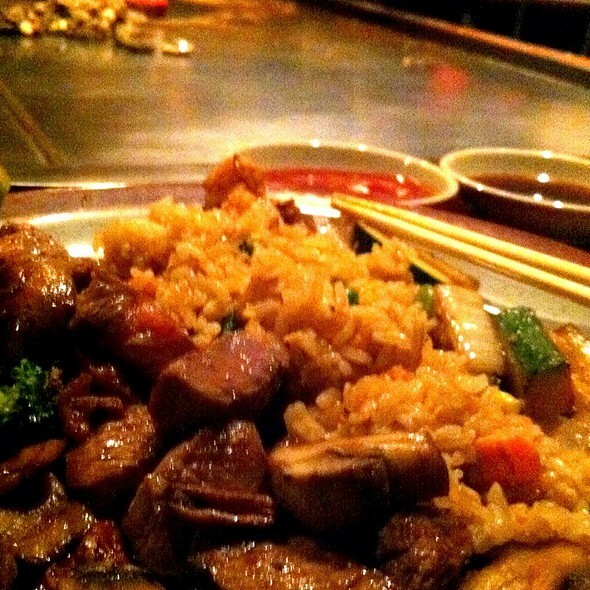 You'll enjoy the knife-wielding skill and showmanship of specially trained chefs as they prepare meals before your eyes on hibachi grills. Whether it's a birthday, an anniversary, a rehearsal dinner, a business meeting, or any occasion, Kobe Steaks can accommodate large or small groups. We prepare all our Entrees using non-cholesterol margarine, pure canola oil, and virgin oil. We are concerned for your well-being, if you have allergies, please alert us as not all ingredients are listed. Please enjoy your dinner! It was my wife and I’s anniversary and I had not stated that when I booked the reservation. When we got there we were seated with the general public but I noticed that there were some private rooms available. I politely asked the manager if we could use one of the rooms and he immediately said yes and we were seated there. Then after dinner the staff served us ice cream and sang happy anniversary in Japanese. Awesome experience. The food is always delicious and it’s a fun dining experience. Great service and food. Thanks for keeping the food light, and not using a ton of oil like most of these restaurants do. However please take the olive and cheese from your salad, it works against my favorite ginger dressing. This is a Japanese Steakhouse the way it is intended. The flavor and quality was impeccable. Had a surprise Birthday for my sister here. About 25-30 people. Called a day before just to confirm the reservation and spoke to Alex. He was in a hurry to get off the phone plus was really rude. He slammed the phone in my ear when I was still speaking. Still took my sister here because it’s one of her favorites. Food was ok bill was around 350$ for 6 people including kids no alcohol. The cooks come out did their thing. They really did everything as fast as possible. Keep in mind this was a Tuesday night. Shouldn’t have been that busy. Room we were in was so cold it was hard for us to eat. It was extremely cold and I’m never cold! For the 350$ spent it wasn’t a good experience. I know I would have gone to so many other places and actually enjoyed my money spent. I was surprised they could not do substitutions. The only appetizer selection, included as part of the meal, was shrimp. Although I enjoy shrimp, I have friends who have shellfish allergies and my dinner guests cannot eat shrimp. It was a great experience. The chief was very skilled and fun. Highly recommended!! Wonderful dinner. Party of 10... everyone was happy. Great food & service and excellent company! The fried rice was the saltiest I have ever eaten. The steak was less than average and the chicken left a lot to be desired. We had eaten there once before a few years ago and it was excellent. We won’t go back. Food was great. Portion size is definitely smaller than pre remodel. Fried rice special was excellent. I have been coming to Kobe’s for over 30 years! The food and service are consistently amazing and we always have a wonderful experience. Will be returning for years to come! Great! Loved it! Will be back for more!!!!!!!!!!!!!!!!!!!!!!!!! Outstanding restaurant. 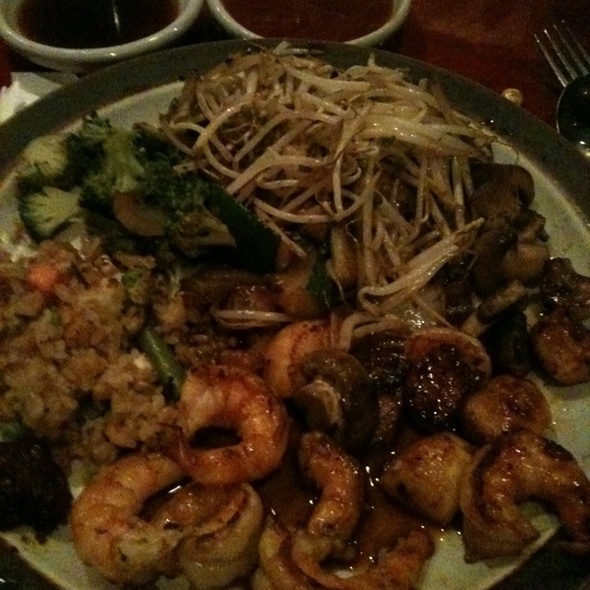 By far and away the absolute best hibachi experience and food I have experienced anywhere. I highly recommend this restaurant. Dood was delicious! Service was really Good! We will be back! I had a great time the food was good but my salmon was a little over cooked. The chef could have given a better show!! This will not stop me from coming because I love the Special Kolby Sauce!! The food and service was excellent! It was even better than usual and it is ALWAYS good. We loved the salad additions. Second time at Kobe Steaks, and we had a great experience! Usually I love Kobes. 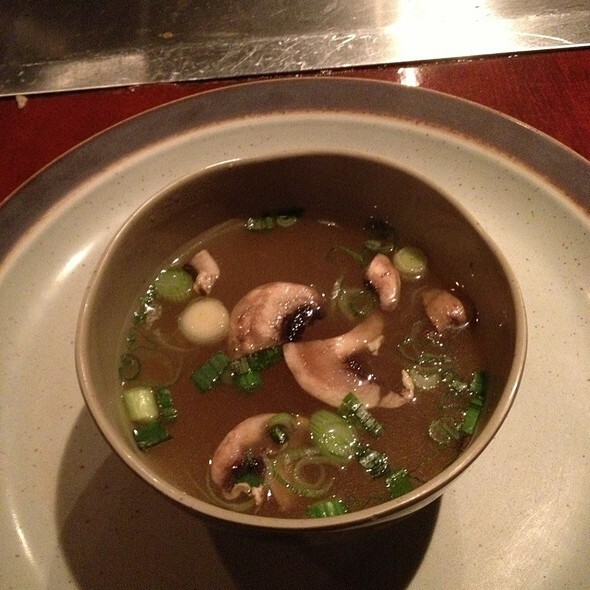 But last night, I dont know if it was due to us having a later reservation, but the food came out very under seasoned. The steak was mostly fat for a 12oz sirloin steak. The cook was funny and nice though. The waiter was a little rude and didnt really help much. 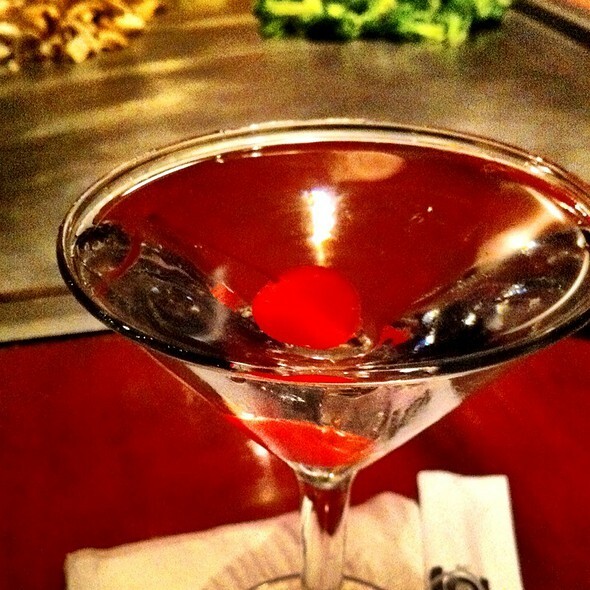 Kobe Steaks is always the perfect spot to celebrate any occasion or to impress a date or business associate. The Kobe specials are very filling. The food is consistently good and presented well. It was our first time to take our grandsons (4 and 6) and we all had a great time. The menu is quite diverse and the "kid" options are perfect for the venue. The remodeling they have done is quite attractive. Place looks great! The only issue we had was that, since it was quite chilly outside, the heat was on in the restaurant and it seemed quite warm and a bit stuffy, especially for my oldest grandson. Hard to set thermostat with those hot griddles blazing! Not sure if better ventilation might help. Other than that, our experience was just wonderful and we all can't wait to go to Kobe again! The food was fab as usual. I had the Kobe special shrimp, scallops and crab claws... Wonderful! Kobe never disappoints. I've been going to Kobe for close to 40 years now and the food is always excellent. Our chef, Sol, is always a delight. Food was expertly prepared and always with a bit of flare. I would have liked the onions and zucchini to be sliced a little smaller, but it was still good. 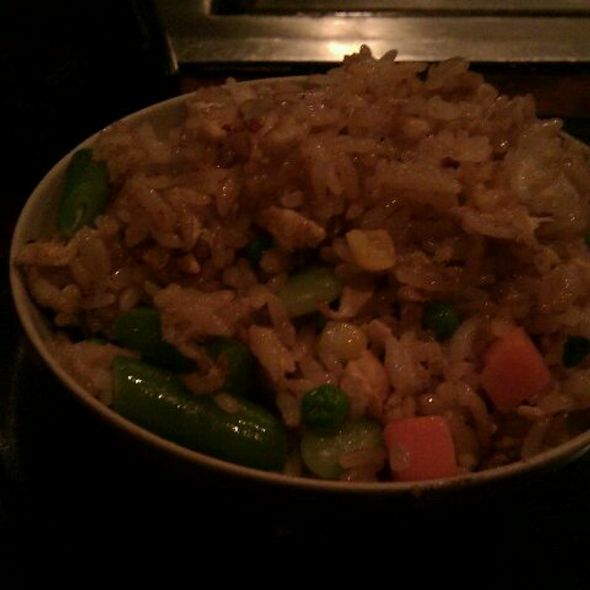 I was excited to see a new dish on the menu, Takana Fried Rice. It was the best fried rice I've ever had. I would say the only drawback this time was our waitress was a little forgetful in bringing out a couple of things, but overall, this did not distract from the dining experience. What really did distract was the other diners sitting at our table. Two younger ladies sat their the entire time watching a TV show on their phone while loudly talking back and forth about the show. It was very rude. I'm sorry, but if you can't go with out watching TV on your phone for a couple of hours while dining out, then stay home! End of my rant and has nothing to do with Kobe's. 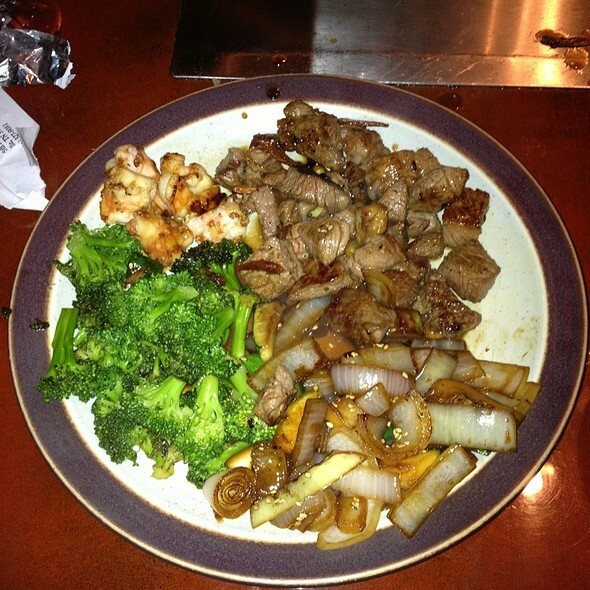 Treat yourself, treat your special someone, or just enjoy a great evening out and go to Kobe's. You won't regret it. Kobe is the best Japanese steak house around. It never fails to deliver outstanding food and service. And the waiting area is really comfortable and roomy. Always a great dining experience! Had a great time, employees were nice and friendly. We loved the experience. 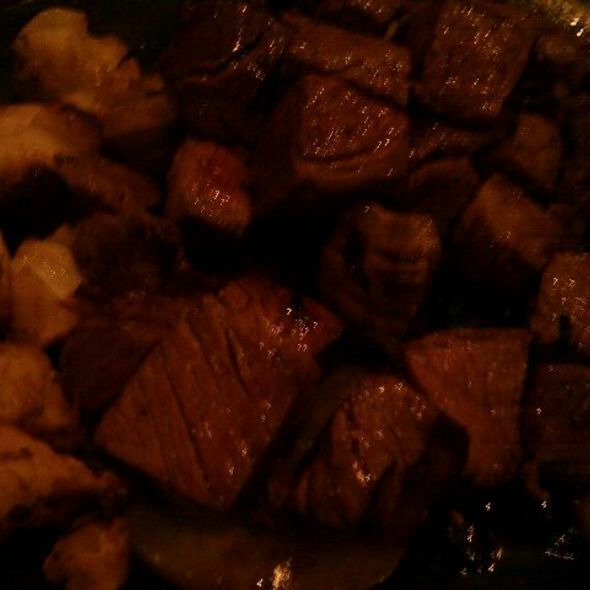 Have eaten at Kobe Steaks many times and the service and food is always excellent. I would highly recommend this restaurant to many people. For 18 years I have taken family and friends to Kobe Steaks for special occasion dining. The food and service is always great. Get there early or else you can expect to wait for a table. The menu selection has choices to choose either beef, chicken, seafood or combination. Get the fried rice over white. The chefs put on a nice show as they prepare your food. The servers are attentive and courteous. Different this year was the large Christmas tree was missing in the lounge area. It was replaced by a much smaller tree off to side. Oh well my kids are grown now but they remember the big tree. Took my husband for his birthday along with our daughter and son in law for the celebration. A lovely evening with drinks flowing freely, An amazing chef and very good food. Our dinner companions were very entertaining as well. Job well done. May have been an off night, however, total ambiance and hibachi schtick was not hitting on all cylinders. In a highly competitive environment, I'd try to maintain the "shine" of the Glory days otherwise it's feeling a little wilted. If that's your model--work it proudly with pride! 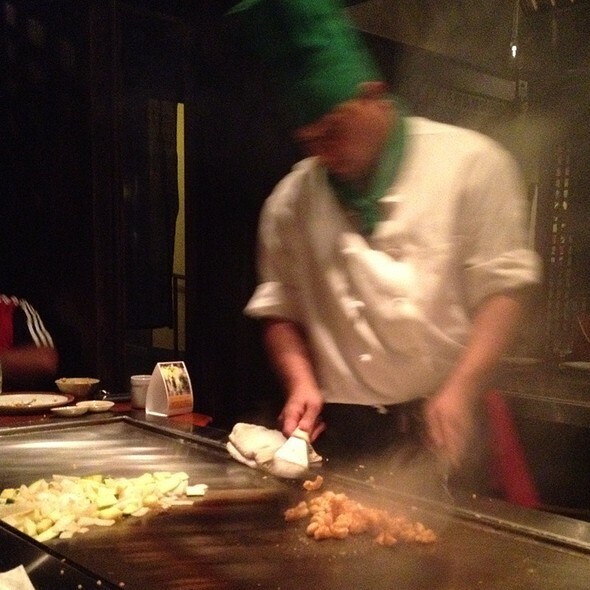 Sitting at the hibachi is always fun and the chefs always put on a good show. Birthday dinner. Great cook. Great food. Enter! It was his first time and he loved it! I love this restaurant and have eaten here for years, but you should know that they still allow smoking in the lounge area. The stench of cigarette smoke works its way into the rest of the restaurant and can be quite unpleasant.